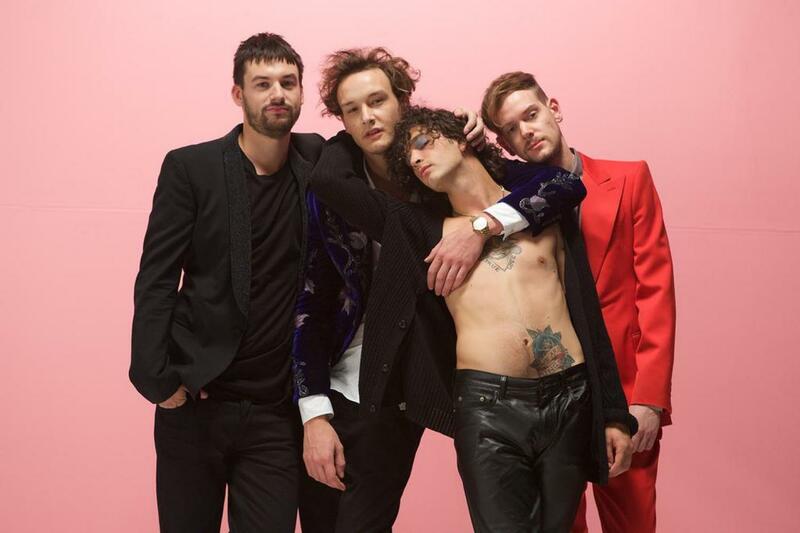 After spending 4 months in Los Angeles dedicated to recording their sophomore album, Manchester band The 1975 are back with a vengeance armed with an exciting, striking brand new track. 'Love Me' is the first track to be heard from the new LP, and is utterly brilliant. With a sound reflecting classic 80's pop, such as catchy guitar riffs which echo the tone of Bowie, one cannot help but feel a sense of eager familiarity with this track. Frontman Matthew Healy provides a wonderful vocal, armed with enthusiasm and grit. This song is undoubtedly an exceptional, clean and contemporary take on classic pop and is the lead up to something incredible. 'Love Me' was premiered on Radio 1 this evening as Annie Mac's Hottest Record and received an overwhelming response. The single is due for release on iTunes at midnight tonight. In an interview following the track, the band announced that their album is due for release in February 2016 and will contain 17 songs. The album's title has been unveiled as, ‘I Like It When You Sleep For You Are So Beautiful Yet So Unaware Of It’. You can listen to the new single 'Love Me' at minute 3.37 below on the iPlayer Radio link. Enjoy!